I approached First Step Therapy with extreme lower back pain that had been ongoing for 6 months .I had several appointments with my works therapist and had little to minimal relief. A friend of mine had mentioned the quality of care they received with first step therapy and strongly recommended them. I felt comfortable from the first appointment: from the friendly surroundings to the professional attitude of the therapist. Using a combination of stretching exercises and Accupuncture, the therapist guided me through sessions, teaching me how repeat the exercises at home. I also received advice on posture whilst sitting at work and how to integrate exercise into my busy lifestyle. Since visiting First Step Therapy i have had three sessions and my severe back pain has reduced by 70%, and is now manageable through a combination of specific exercise and stretching. 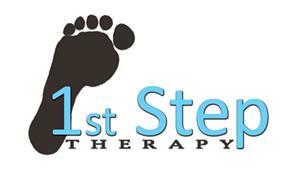 I would thoroughly recommend First Step Therapy and am delighted with the service I received. This serves as a letter of reference for treatments I’ve received from Firststep Therapy. I’ve been involved in contact sports, often at the highest level, for more than thirty five years. As a result of my commitment and often naïve over-exuberance I’ve often needed physiotherapy / rehabilitation treatments. After visiting dozens of treatment centres and therapists over the years, both within and outside the area, I can honestly say that rarely have I been as impressed with the “total service” as I have been with Marc Lloyd at Firststep. From the outset it was clear that he has a wealth of knowledge, and importantly, a personal sports background - which I believe is essential in allowing a therapist to empathise with a patient. Not only was he immediately able to reduce the symptoms of what had become a long term injury, but he was also able to clearly explain the reasons for the problem and prescribe a series of exercises to assist my recovery and prevent recurrence. All-in-all a first class service. Well done Firststep Therapy, and good luck with the future. I can't praise Marc Lloyd highly enough. From my first phone call he was most friendly and highly professional. His welcome was warm and he provided excellent, thorough and highly professional treatment and advice - beyond my expectation. I am sure my back pain and the restriction of activities it caused would have lasted much longer had I not had treatment and advice from Marc. His fees are more than fair. In short, excellent value for money. If I ever get any further problems I will definitely contact Marc again and recommend him to friends.